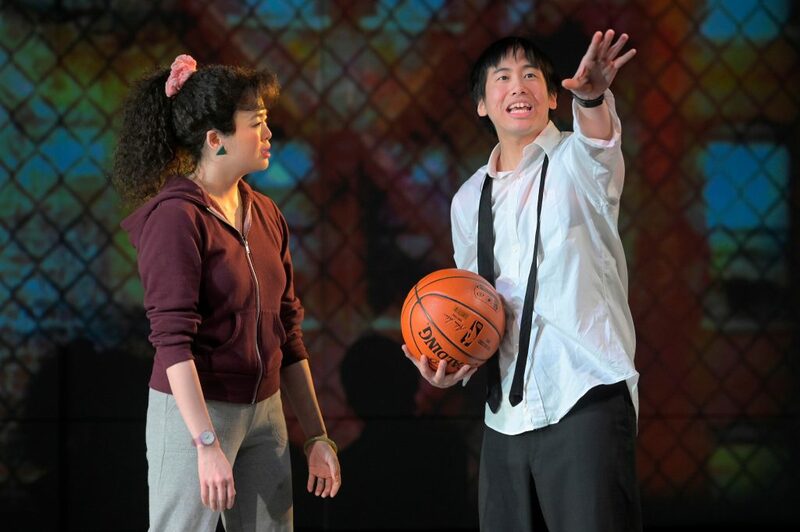 ACT pulls off a brilliant trick with “The Great Leap.” We might go for Tony award-winning actor BD Wong, but we stay for playwright Lauren Yee who dominates the center-court. 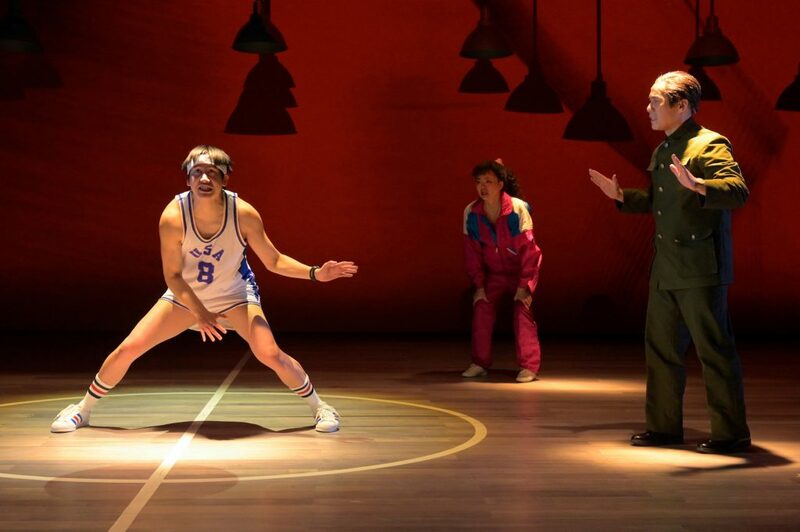 “The Great Leap” combines Chinatown, Beijing, and basketball. 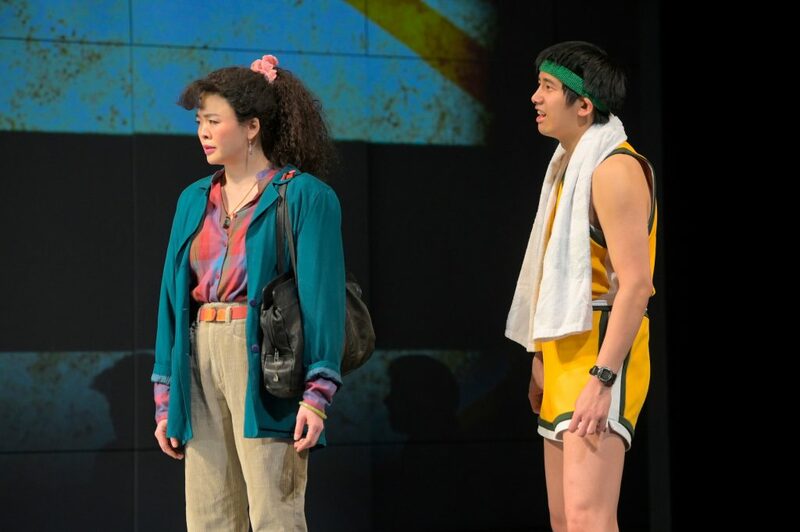 Yee artfully melds personal and political, family and fandom for a thrilling match of tangled emotions, laughter, and tears. 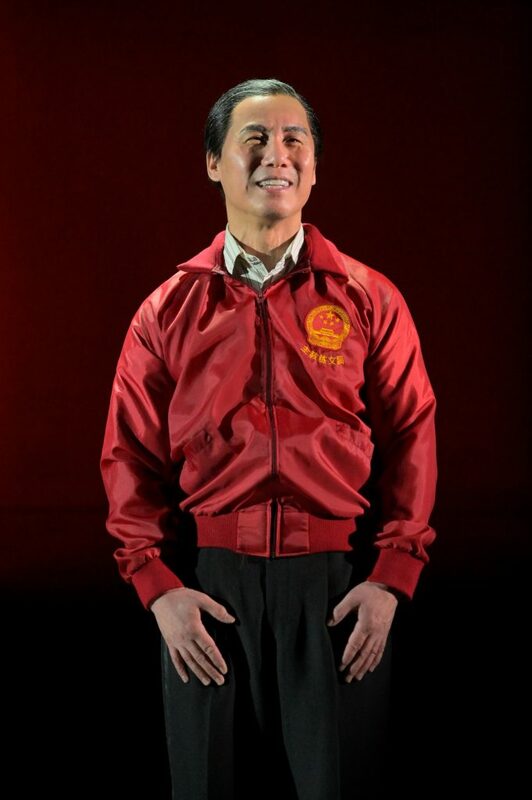 The young Chinatown high school star Manford Lum (gallant Tim Liu) has lost his mom and is searching for a long-lost father. Yee positions this mantra as the driving conflict: refusing to back off the court vs. standing on the sideline. 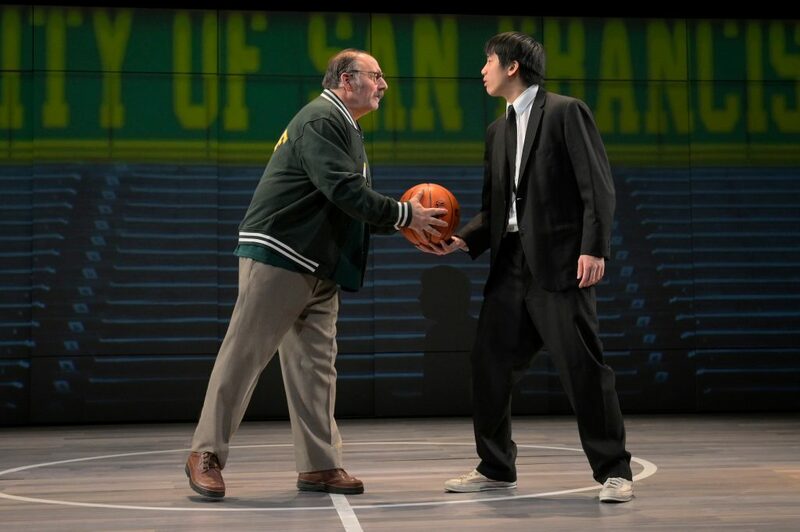 She brilliantly weaves in the U.S.-China cultural clash, applying it to love, family, and sports. In 1989, Chinatown high-school basketball legend Manford dogs coach Slezak for a spot on USF’s team. Manford desperately wants to play in Beijing. 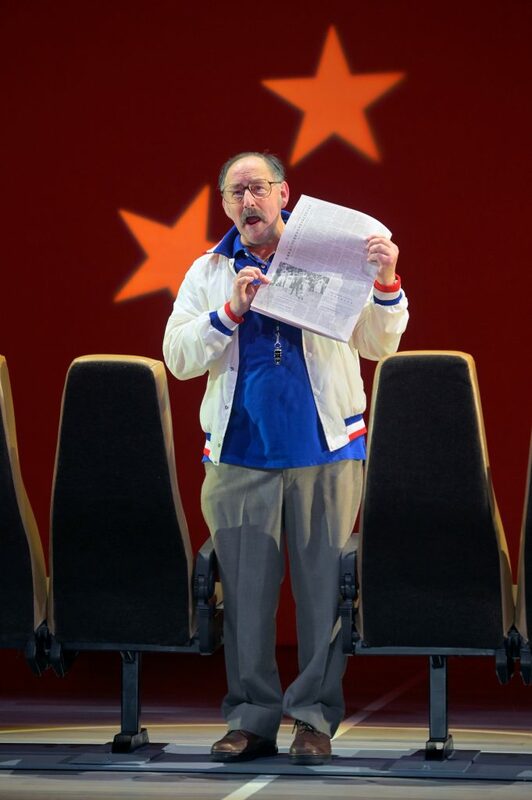 His cousin Connie (spirited Ruibo Qian) tentatively supports Manford’s dream. The boy’s passion and comic grit make us root for him. 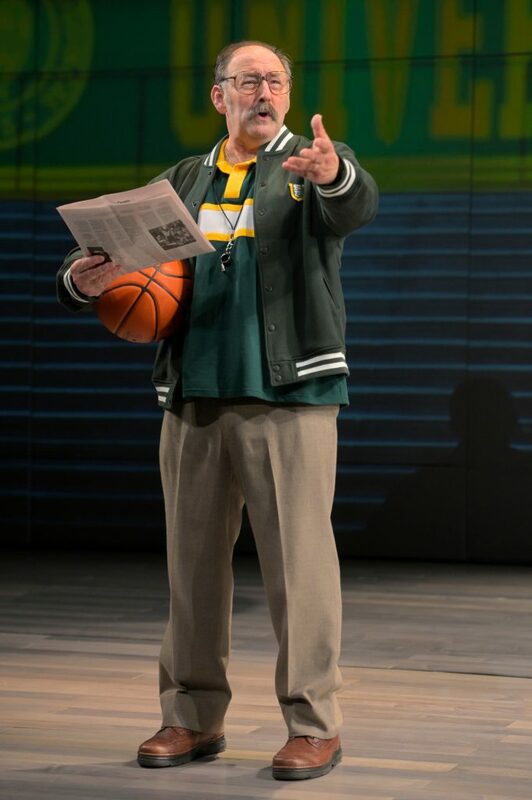 Coach Saul, an arrogant loudmouth, shows an occasional soft spot. 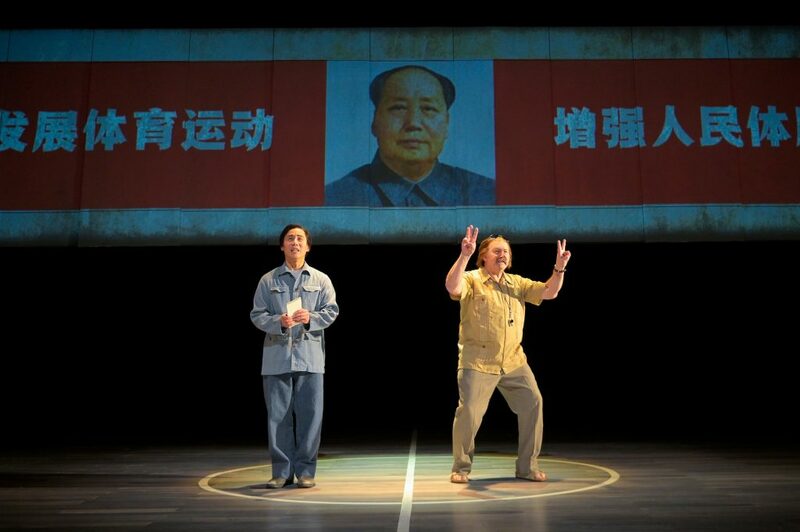 China’s Wen Chang has sidelined his dignity for Party loyalty—a classic comic conflict. Wen Chang has moved from translator to Commissar of Sport. He has taken the American’s advice to hilarious effect. 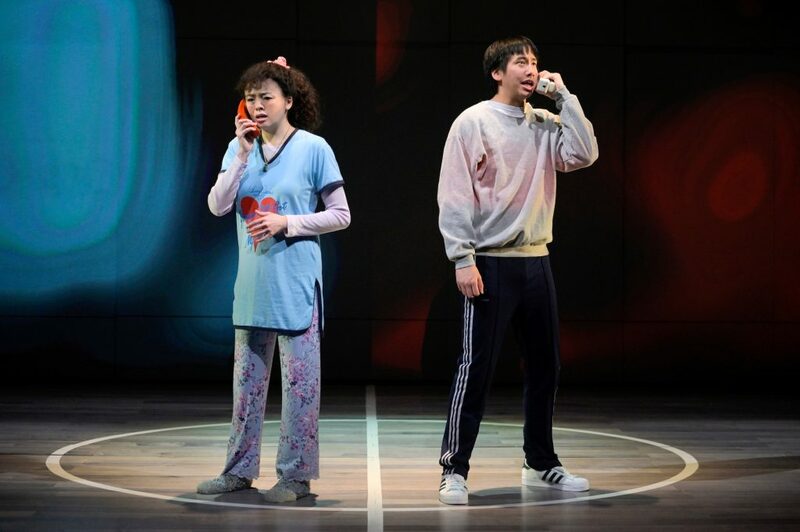 “Let’s see some hustle!” becomes “Move fast, like you’re picking up pages of the Little Red Book!” “Great Leap” zooms in on the juxtaposition of the foul-mouthed American and the patient Chinese functionary. The rematch takes place in June 1989, during the massive “Democracy” protest in Tiananmen Square. 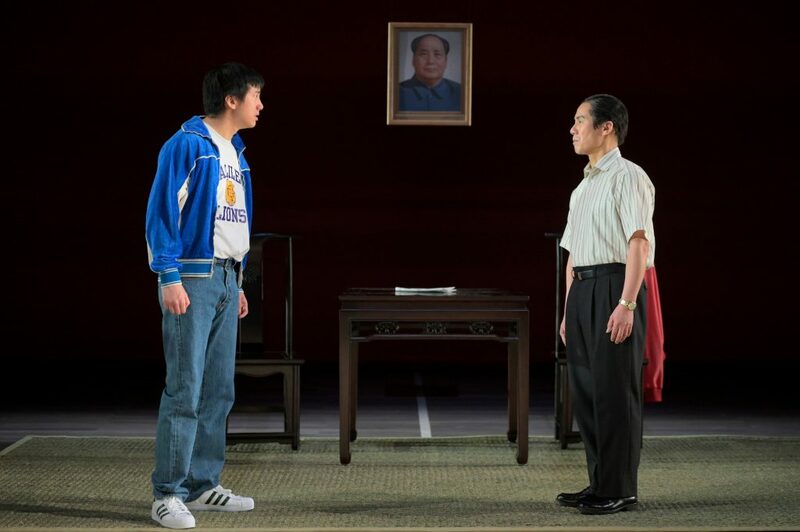 The game and the demonstrations coincide, brilliantly, in Yee’s play. Projection Designer Hana S. Kim uses perfectly paced videos across the whole stage, with dancing shots and screaming fans to add fast-paced action. 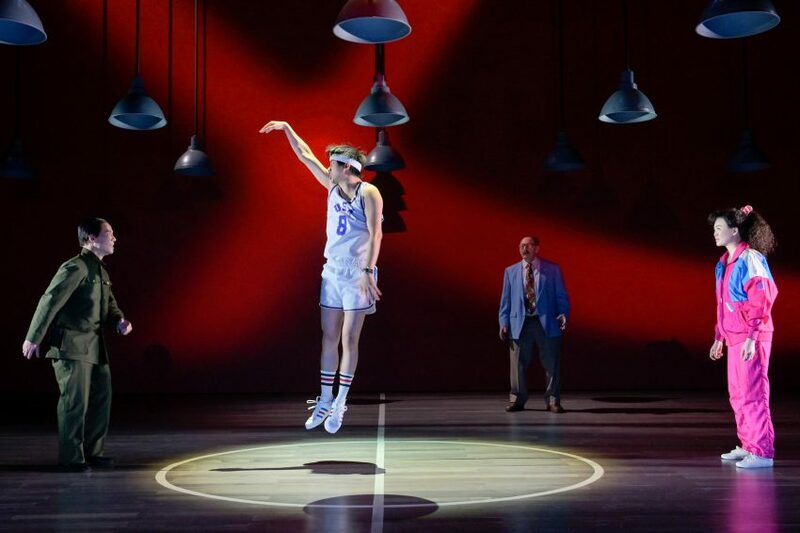 In a striking imaginative style, director Lisa Peterson choreographs the intense match, echoing blockbuster sports movies. 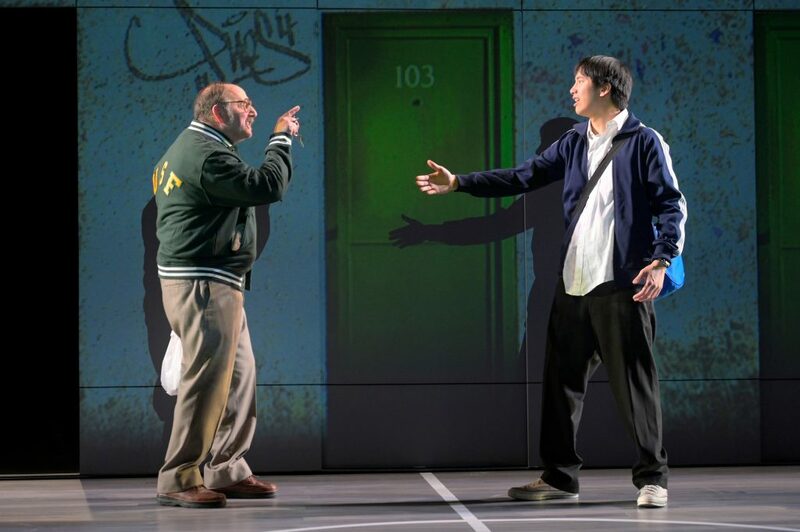 We follow a lyrical ballet between Saul, Wen Chang, and Connie, as they circle magical Manford. 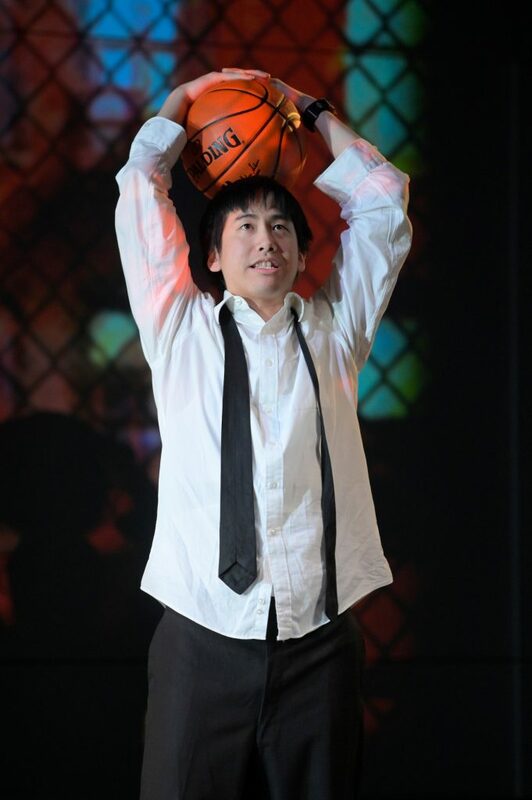 Tim Liu’s every dodge, dribble, and shot lands with ferocity. “The Great Leap” has us holding our breath, waiting for the final buzzer to know whether Manford and China have broken free. It’s worth your while to find out! 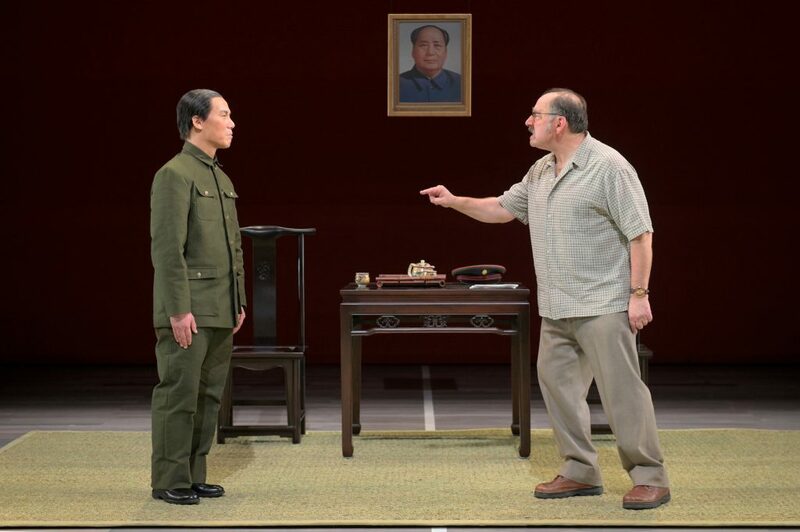 Cast: Arye Gross, Tim Liu, Ruibo Qian, and BD Wong.